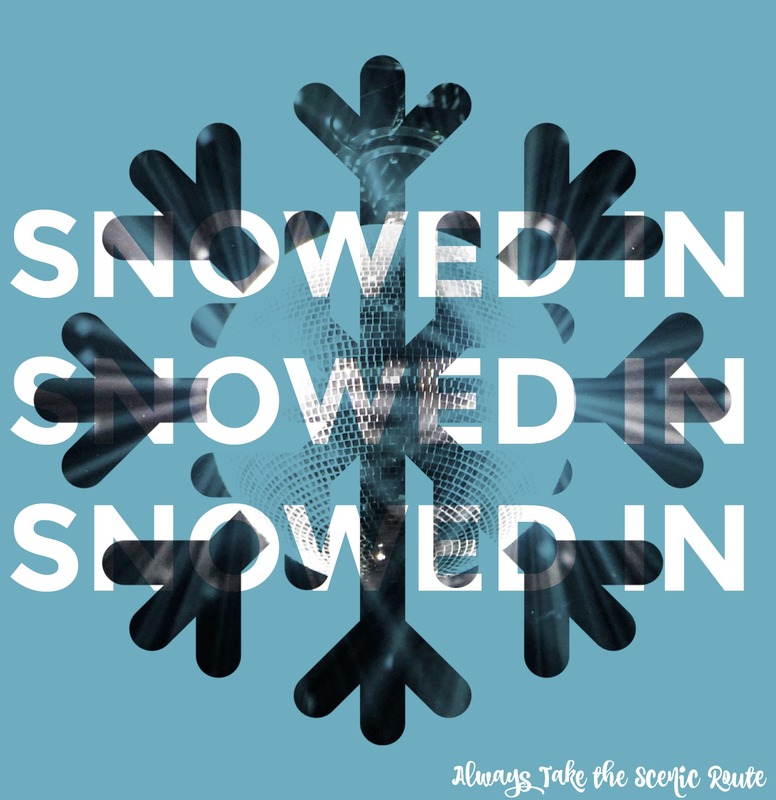 Spring Break is upon us for those lucky few that still get to celebrate it and for those who don’t, we feel your pain. 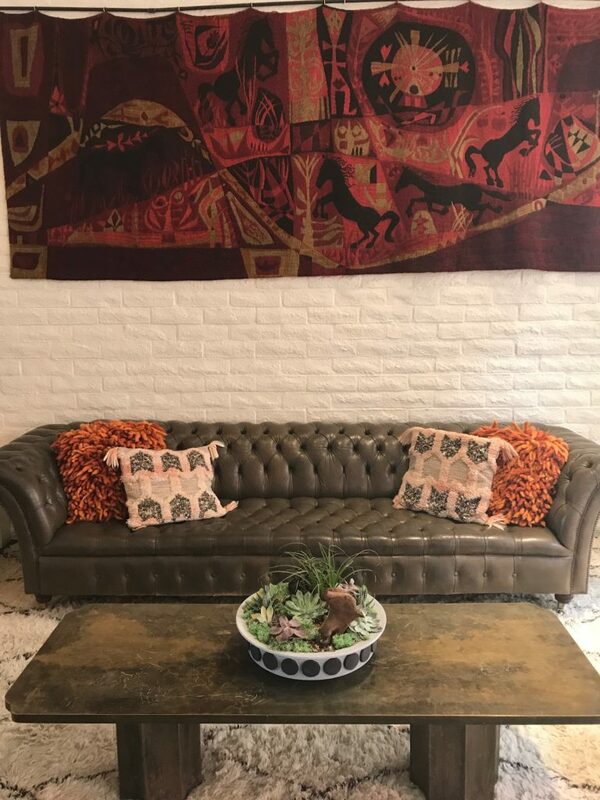 This month we are featuring the beautiful, colorful, Instagrammable spot that is Palm Springs, California. I visited last April to celebrate turning the big 3-0 and it was everything I dreamed it would be. 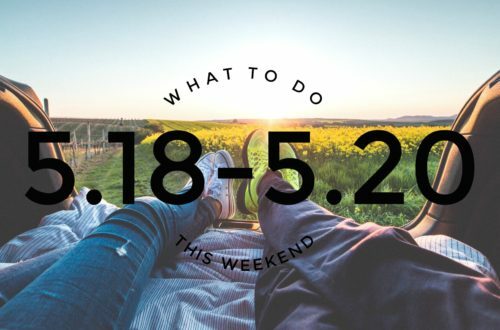 Read on to discover some hidden gems & must-see’s if you ever visit this historic dreamy cactus town. 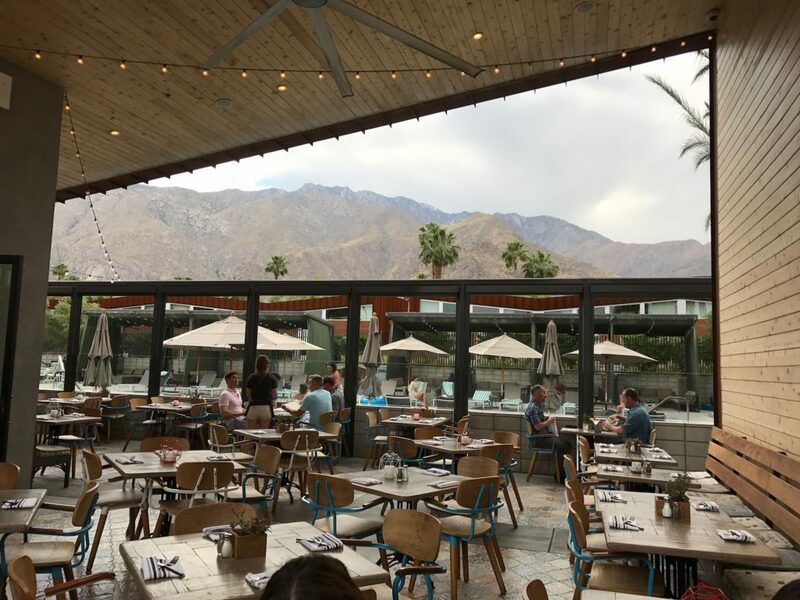 Palm Springs is best know for their annual Coachella Festival & Stagecoach Festival, but what you might not know is that they are also known for their recreational spots, their mid-century modern architecture, & for being a popular getaway spot for the rich & famous. 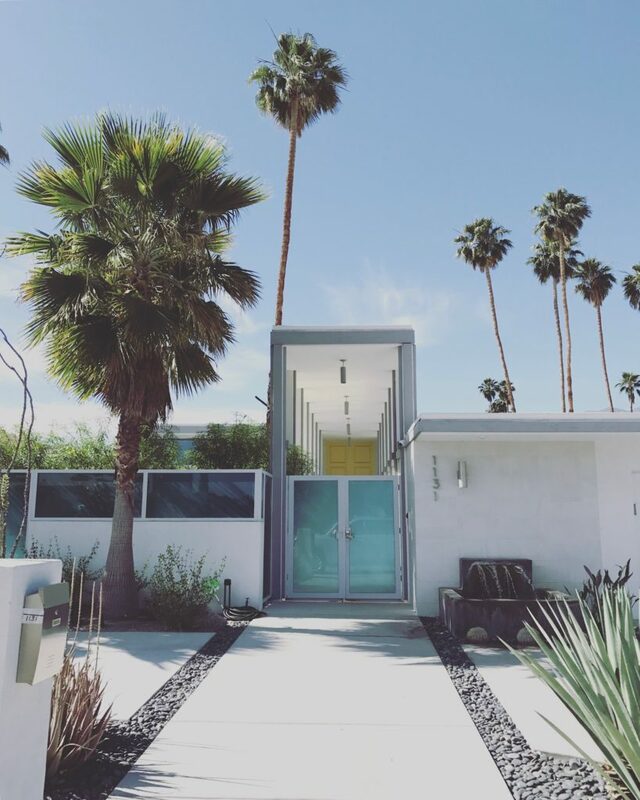 Their mid-century homes & buildings are insanely gorgeous and only in Palm Springs can you have so many colors on the outside of your home and not be shamed for it. 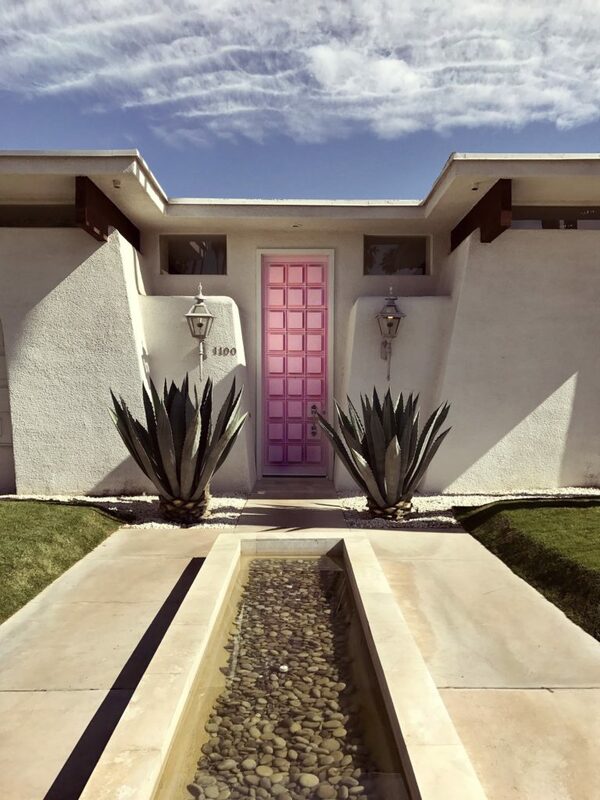 We were lucky enough to check out That Pink Door before they stopped allowing photographs on their property. 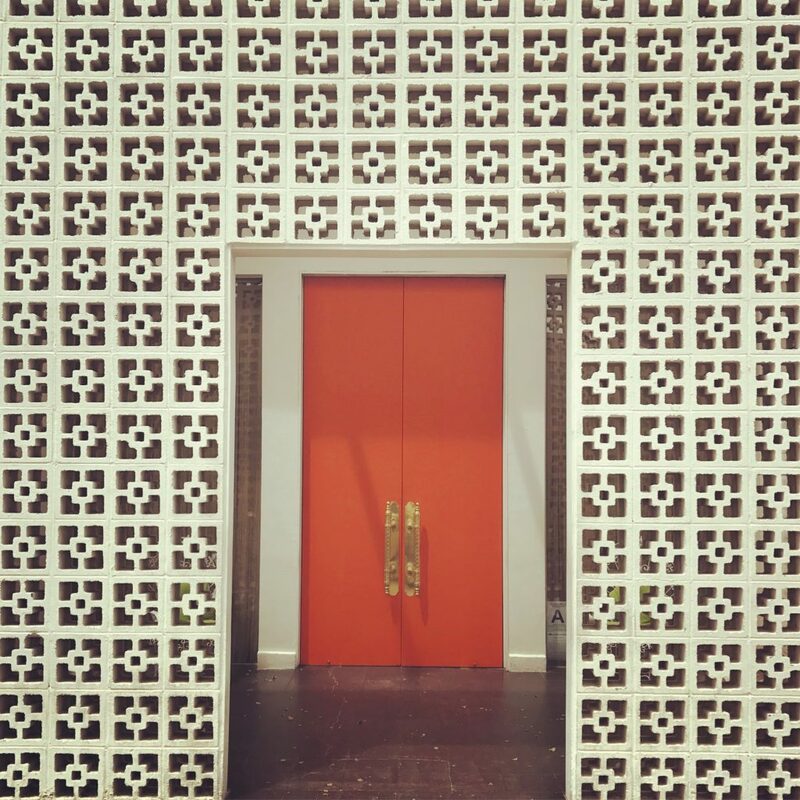 The Saguaro Hotel is another amazing spot for a colorful backdrop to any Instagram photo. Let’s not forget this desert city gets 360 days of sun-kissed weather! This town gets less than 5 inches of rain a year, unheard of in Indiana. Winter temperatures average in the 70’s with nights in the mid 40’s. The dry desert heat of summer pushes daytime temps into the 100’s, but since it’s dry that means no humidity, and it’s great for your hair! If you get a chance, take a ride on the Palm Springs Aerial Tramway for a drink & an amazing view of Palm Springs. 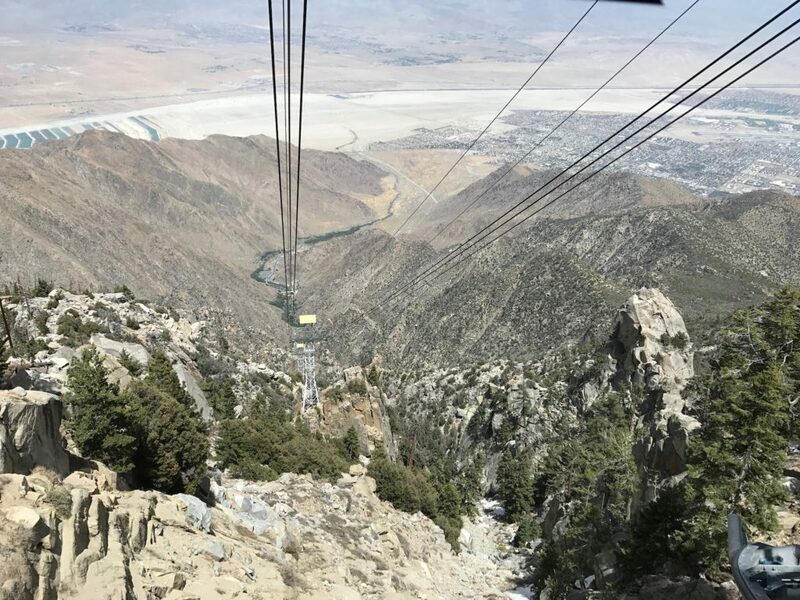 The Tramway is the world’s largest rotating tram car, it travels over two miles along the breathtaking cliffs of Chino Canyon, transporting riders to the pristine wilderness of the Mt. San Jacinto State Park. During your approximately ten-minute journey, tram cars slowly rotate, offering picturesque and spectacular views of the valley floor below. Once you reach the Mountain Station at 8,516 feet, enjoy two restaurants with bars, observation desks, & over 50 miles of hiking trails. The Rat Pack lived, loved and played here…it doesn’t get any better than that. Stars such as Frank Sinatra, Bob Hope and Lucille Ball all built homes here (that you can now rent! ), adding a touch of stardust to this city. 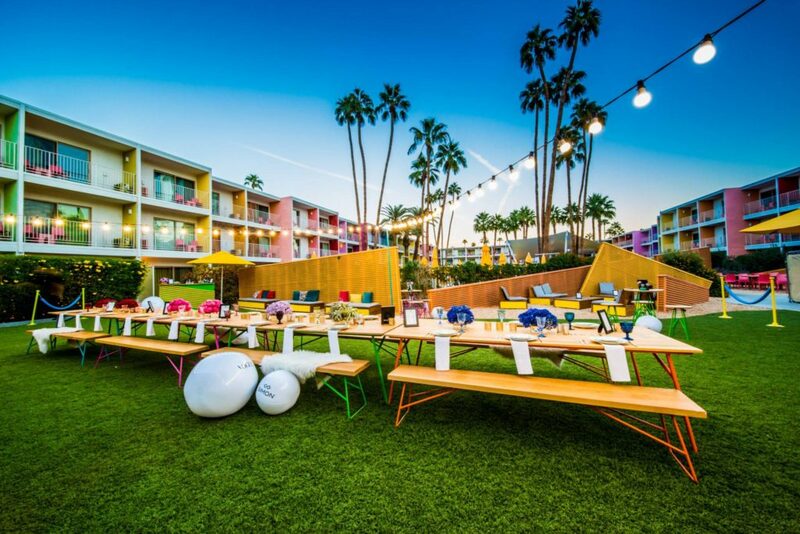 For a day of relaxation check out the The Palm Springs Yacht Club at The Parker Hotel. 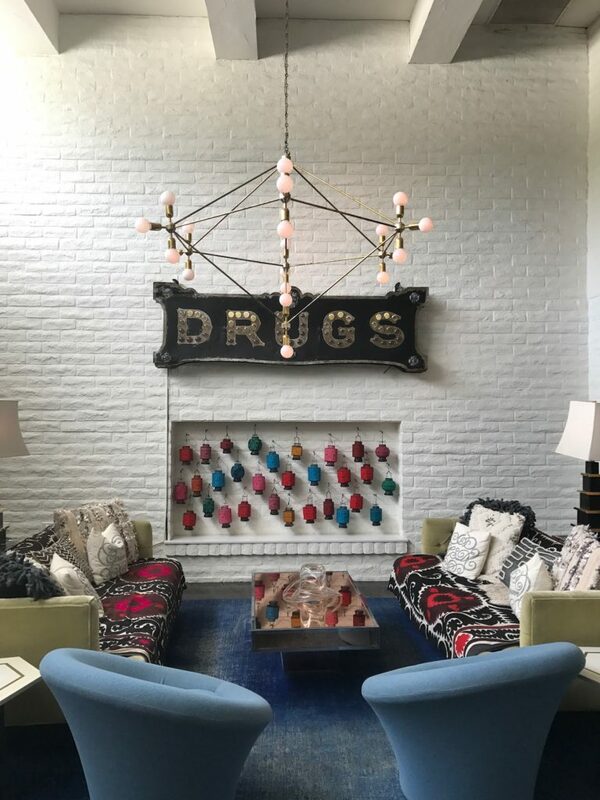 This hotel is a hidden gem and I am so glad I did my research because it was amazing and worth every minute spent there. 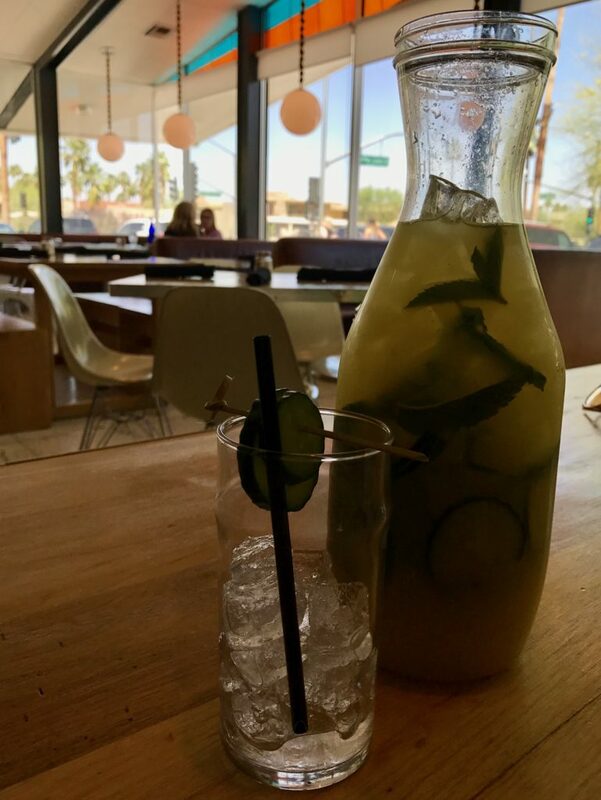 Once you step into the spa you are greeted with a cucumber-infused vodka shot, now that’s one way to “get the PARTY started”! The interior of the spa was insane and their massages were to die for. 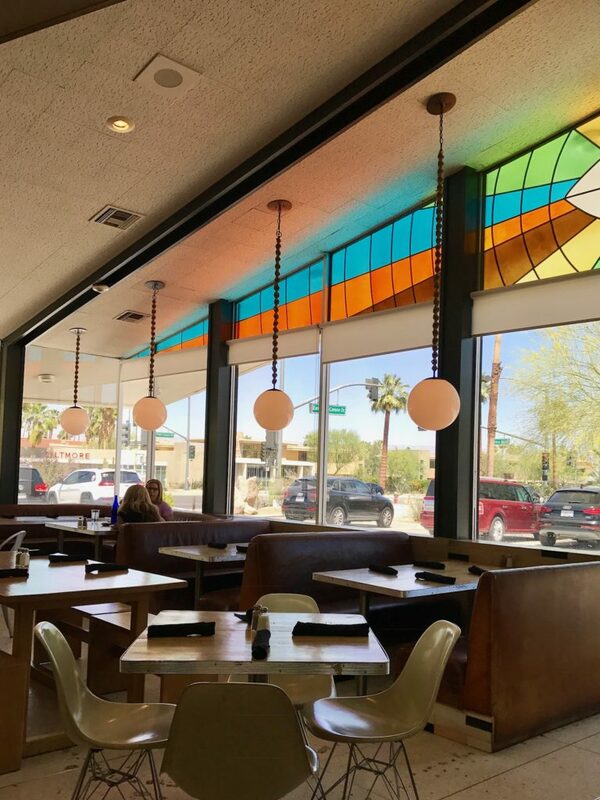 Don’t forget to stop in for breakfast served all day and night at Norma’s out on their open-air terrace. As far a food goes, we probably gained 5 lbs staying here for a week, it was THAT good. Besides In-N-Out ‘s juicy cheeseburgers we also tried sushi, tacos, milkshakes topped with donuts, & mouthwatering steak. Reservoir is located at the ARRIVE hotel, they serve a modern California cuisine. 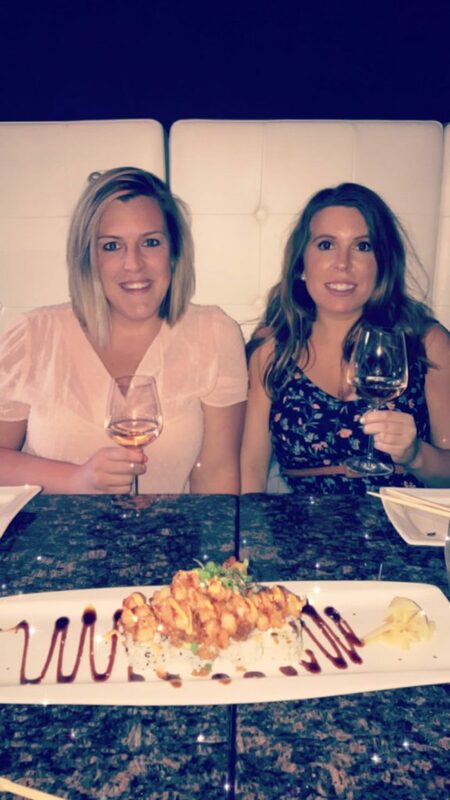 It was the perfect restaurant to watch the sunset, play ping pong, & sip on craft cocktails. I definitely want to stay at the hotel some time, it was architecturally stunning & so cute! 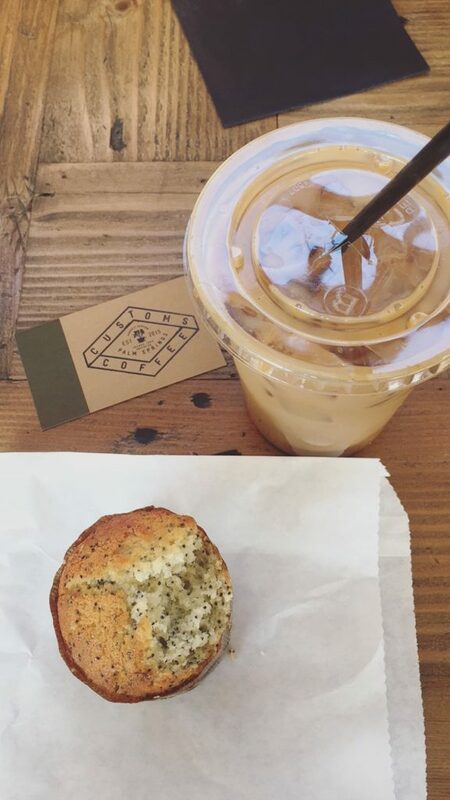 Customs Coffee is located in the hotel as well, we walked from our Airbnb one morning and it was so yummy! King’s Highway is a roadside diner at the Ace Hotel & Swim Club. Formerly a Denny’s restaurant, King’s Highway celebrates the ineffable, bohemian spirit of the wide open West. 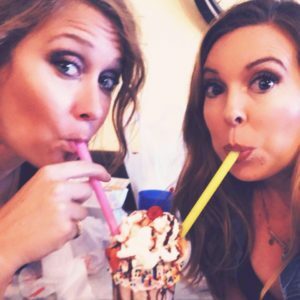 They are known for their desert highway burger, tacos, & desert facial cocktail. These shakes were everything & more. Great Shakes is a family-owned and operated shake shop located on Palm Canyon Drive. They specialize in gourmet shakes, malts, and floats only using premium ice cream and the finest fresh ingredients. 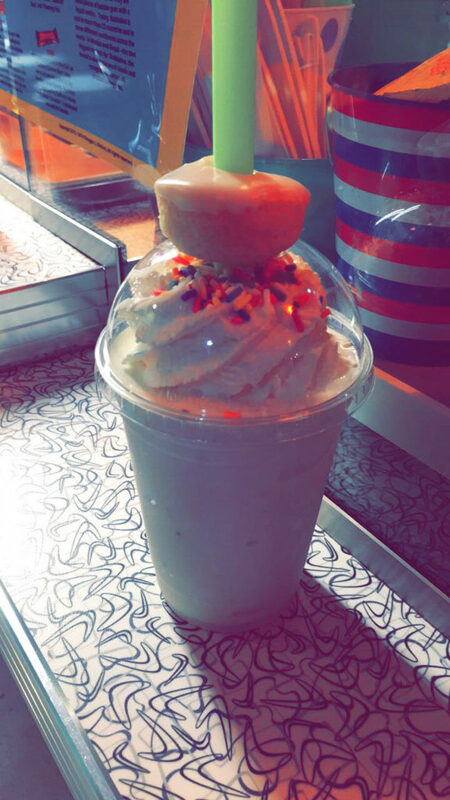 These shakes were super rich but who could resist that tiny donut on top?! 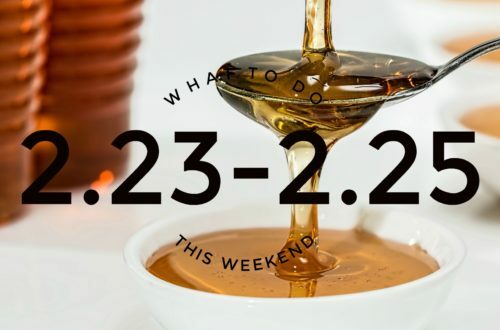 Other places to try: Cheeky’s, The Venue Sushi Bar & Sake Lounge, Jake’s, & Birba. 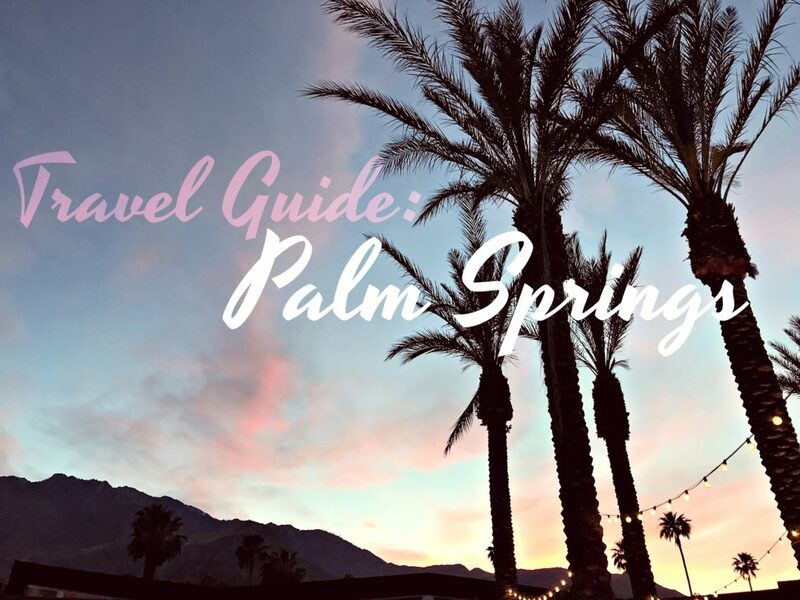 I hope this guide helps you plan your next vacation, (cough, cough) it should probably be Palm Springs! It was one of my favorite locations to visit & I plan to head back one day in the future. But until then, my next stop is Las Vegas!